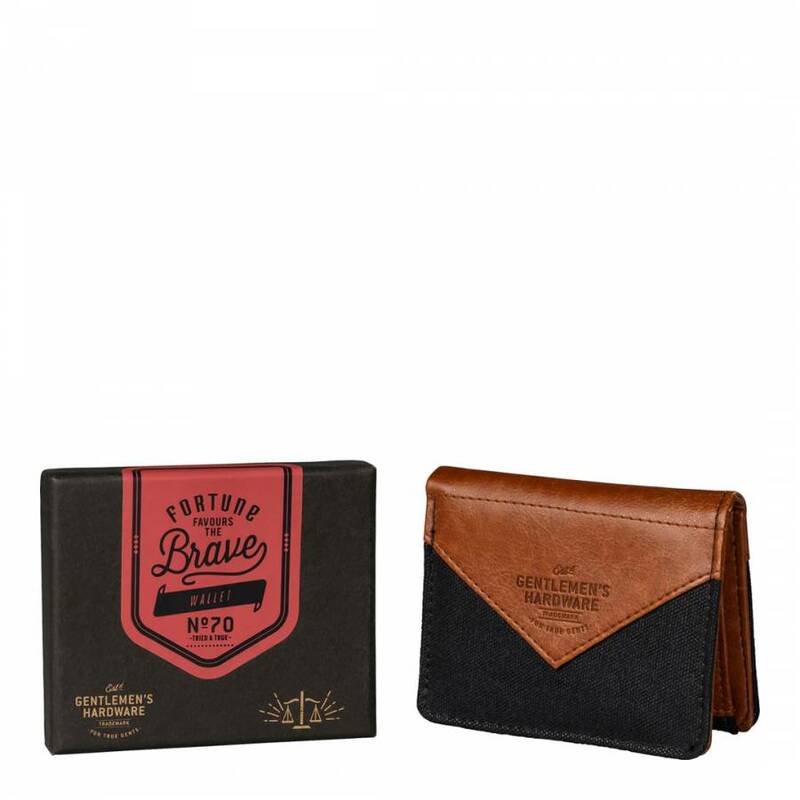 Give credit where it's due with this slim charcoal canvas wallet with handsome faux-leather detail and space for cards. A perfect gift for any gent. Dimensions: 2.5 x 12.5 x 10cm.